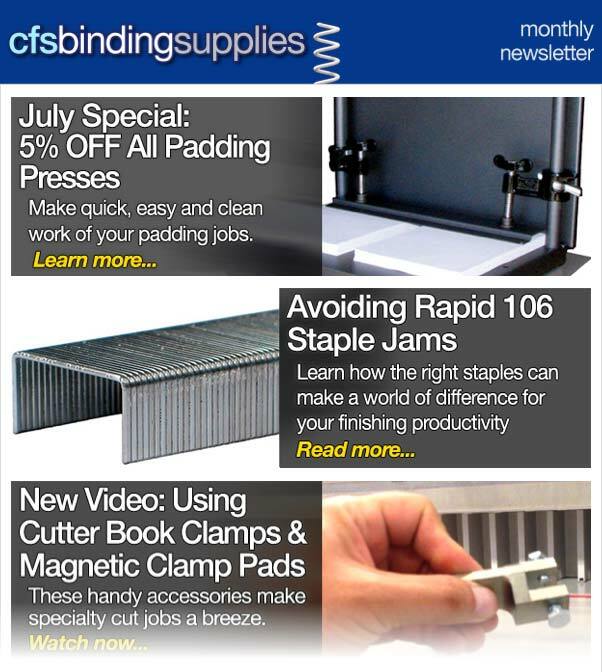 Our June 2014 CFS newsletter we’ve updated a popular blog post on avoiding staple jams in the Rapid 106 electric stapler. The newest video shows how to use Cutter Booklet Clamps and Magnetic Clamp Pads. This month’s special is a discount on all Padding Presses save 5% til the end of the month.